The next few weeks there will be no new entries in this blog. However, I hope to see some of you on 19 January 2011 [N.B. Cancelled due to illness] when Glenn Schellenberg will give a lecture at the Cognitive Science Center Amsterdam (CSCA) of the University of Amsterdam with the title Does music make you smarter? Schellenberg will show that the available evidence indicates that music listening leads to enhanced performance on a variety of cognitive tests, but that such effects are short-term and stem from the impact of music on arousal level and mood, which, in turn, affect cognitive performance; experiences other than music listening have similar effects. However, music lessons in childhood tell a different story. They are associated with small but general and long-lasting intellectual benefits that cannot be attributed to obvious confounding variables such as family income and parents' education. The mechanisms underlying this association have yet to be determined. Other controversial issues include the direction of causation, and the reason why "real musicians" often fail to exhibit enhanced performance on measures of intelligence. See here for more information on the lecture and location. Hearing the music, honing the mind? "Music produces profound and lasting changes in the brain. Schools should add classes, not cut them." This week a video entry with a clip of the Dutch tv program Vrije Geluiden: Last Sunday prof. Erik Scherder (Free University Amsterdam) explained some recent research (by, e.g., Hyde et al., 2009) on the influence of music performance and music listening on brain plasticity. The full episode can be viewed here (N.B. no subtitles). 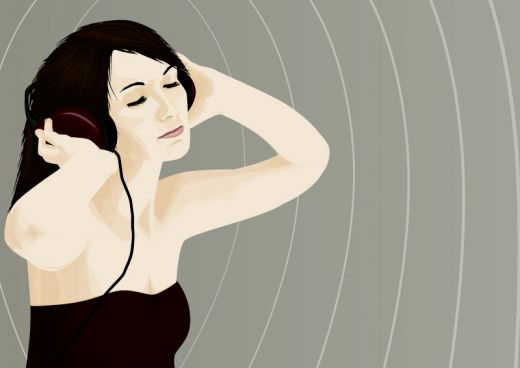 What's new on music and the brain? The Mariani Foundation for Paediatric Neurology just announced The Neurosciences and Music - IV: Learning and Memory, to be held in Edinburgh (Scotland, UK) from 9th to 12th June 2011. The conference is conceived as a continuation of the previous meetings on the relation between Music and the Neurosciences in which our Foundation participated: "The Biological Foundations of Music" (New York, 2000), "The Neurosciences and Music - I , Mutual interactions and implications of developmental functions" (Venice, 2002), "The Neurosciences and Music - II, From perception to performance" (Leipzig, 2005) and "The Neurosciences and Music - III, Disorders and plasticity". These conferences have been highly successful and have generated enormous excitement, both among established and new researchers. By providing the opportunity to present new results and exchange information, the meetings have contributed substantially to the growth of new research and collaborations in the neuroscience of music and to its visibility within the broader scientific community. The central theme of Music and Neurosciences IV will be Learning and Memory. The conference programme will also be divided into 4 subthemes: "Infants and Children", "Adults: musicians and non musicians", "Disabilities and aging-related issues" and "Therapy and Rehabilitation". The conference will include Keynote Lectures, Symposia, Poster Sessions and a Workshop on child-oriented research design and new data acquisition and analysis techniques, to be held in the afternoon on 9th June. The conference will be of interest not only to neuroscientists, psychologists and students but also to clinical neurologists, clinical psychologists, therapists, music performers and educators as well as musicologists. Edinburgh has been selected as a most appropriate setting because of the IMHSD - Institute for Music in Human and Social Development, established in 2005, which brings together music research, theory and practice from a wide range of disciplines, with an emphasis on learning and rehabilitation. The selected dates are immediately prior to the "Edinburgh International Film Festival" (EIFF), so delegates will have the opportunity to stay on in Edinburgh to attend this event. The EIFF was one of the world's first international film festivals, born alongside the Edinburgh International Festival in 1947, and places a longstanding emphasis upon new talent, discovery and innovation. "French babies cry differently as compared to German babies. This was the conclusion from a study that was published a year ago in Current Biology (see earlier entry). Three day old German babies cry in a downward fashion, their French contemporaries showed an increasing swelling of the cry and stop abruptly. It was a surprising observation, especially in the light of the general belief that in crying the pitch should always drop as a physiological consequence of the respiratory cycle. Apparently, babies of just a few days old can control both the dynamics and the intonation contour of their crying. Why would they do this? 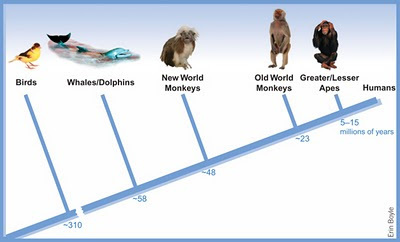 The researchers interpreted it as the first steps in the development of language. In spoken French the mean intonation contour is rising (dropping at the very end of an utterance), in German the mean intonation typically exhibits a falling contour. This combined with the fact that the human auditory system is already functional in the last trimester of pregnancy made the researchers conclude that these babies picked up the intonation contours of their native language in these last months and consequently imitated them in their crying. This observation is also surprising since the literature suggests that children only get interested in their native language roughly between six and eighteen months, when they start to imitate it in their babbling. Is it indeed the case, as stressed by these researchers (and the recent literature citing it; e.g. Elk & Hunnius, 2010), that this is unique evidence for a much earlier sensitivity to language than commonly thought? Or is there another interpretation possible? Although the empirical results are clear, this interpretation is a typical example of what one could call a ‘language bias’: an understandable enthusiasm of linguists to interpret a range of phenomena in the real world as ‘linguistic’. One can, however, easily make the argument that this early sensitivity to intonation contour is a not a linguistic skill but a musical one. Most linguists see the use of rhythm, dynamics, and intonation as an aid for making infants familiar with the words and sentence structures of the language of the culture in which they will be raised. Words and word divisions are emphasized through exaggerated intonation contours and varied rhythmic intervals, thereby facilitating the process of learning a specific language. These aspects are referred to as prosody, but they are actually the basic building blocks of music. Only much later in the development of a child will this ‘musical prosody’ be used, for instance in the marking, and consequently the recognition of word boundaries. But these early signs of musical skill are — and I like to stress this – not of a linguistic nature. It is the preverbal and preliterate stage of our musical listening in development." Fragment from inaugural address De ongeletterde luisteraar (Honing, 2010). 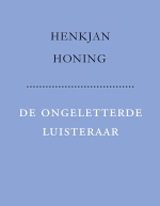 Honing, H. (2010). De ongeletterde luisteraar. Over muziekcognitie, muzikaliteit en methodologie. Amsterdam: Royal Netherlands Academy of Arts and Sciences (KNAW). Elk, M. van & Hunnius, S. (2010) Het babybrein, over de ontwikkeling van de hersenen bij baby's. 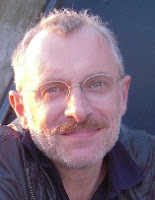 Amsterdam: Bert Bakker. A video follow-up of an earlier entry on Glenn Gould. The North-American Library of Congress organized an interesting series on Music and the Brain with lectures, conversations and symposia about the explosion of new research at the intersection of cognitive neuroscience and music. The podcasts can be accessed via their website. Net zoals in de jaren negentig in de VS blijft het idee dat muziek slimmer maakt opduiken in de - op zich zeer te prijzen - lobby om muziek te promoten in het onderwijs. Zo ook het recente Nederlandse initiatief Muziek Telt. Het is echter nogal een zwaktebod om het belang van muziek aan te willen tonen door te benadrukken dat muziek een andere menselijke kwaliteit positief beïnvloedt. En wel een kwaliteit die we kennelijk belangrijker vinden. In dit geval: intelligentie. Het bevestigt in wezen het idee van muziek als tweederangs activiteit (nog los van het feit dat er geen enkele evidentie is dat muziek inderdaad slimmer maakt; het zgn. ‘Mozart-effect’) [zie eerdere blogs] Ik ondersteun het initiatief van harte, maar daag de initiatiefnemers uit om vooral het intrinsieke belang van muziek voor het voetlicht te brengen. Vanaf begin september is er elke maandag op Radio 4 een rubriek over muziekcognitie. Elke week wordt een antwoord gegeven op een actuele vraag. Voor de aflevering van week 38 - Zijn musici seksueel aantrekkelijk? - zie uitzending gemist. Whats happening at the ICMPC? 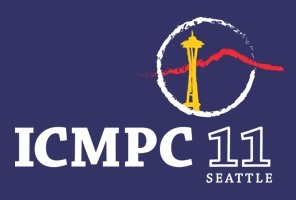 Every two years the international conference on music perception and cognition (ICMPC) is organized. This year it is in Seattle, US. If you like to know what is happening in the field, Victoria Williamson reports on it in a daily review on a selection of papers presented the previous day. Later this week more reports from this conference. A few months ago my facebook friends in the US started mentioning it. Only a few weeks later it appeared in the news in Europe, generating a lot of noise in Belgium last week when I-dosing or ‘binaural beats’ were condemned as a form of narcotics. The phenomenon of ‘binaural beats’ was first described in 1839 by Heinrich Wilhelm Dove. It is the sensation of hearing interference beats when two slightly different frequencies are played separately to each ear. The rate of the ‘perceived’ beats were claimed to modulate ones brain waves. However, little or no evidence has been brought forward since then. The few studies that seriously studied the effect could not support this claim (e.g., Owens et al., 1998), except that that it might have some effect on attention and arousal. Quite understandable, if you listen to one of the examples (see link). Owens, J. et al. (1998). Binaural Auditory Beats Affect Vigilance Performance and Mood. Physiology & Behavior, 63 (2), 249-252. DOI: 10.1016/S0031-9384(97)00436-8. Dunning, Brian. "Binaural Beats: Digital Drugs." Skeptoid Podcast. Skeptoid Media, Inc., 31 Mar 2009. Web. 31 Jul 2010. link. Looking for a PhD position in Music Cognition? 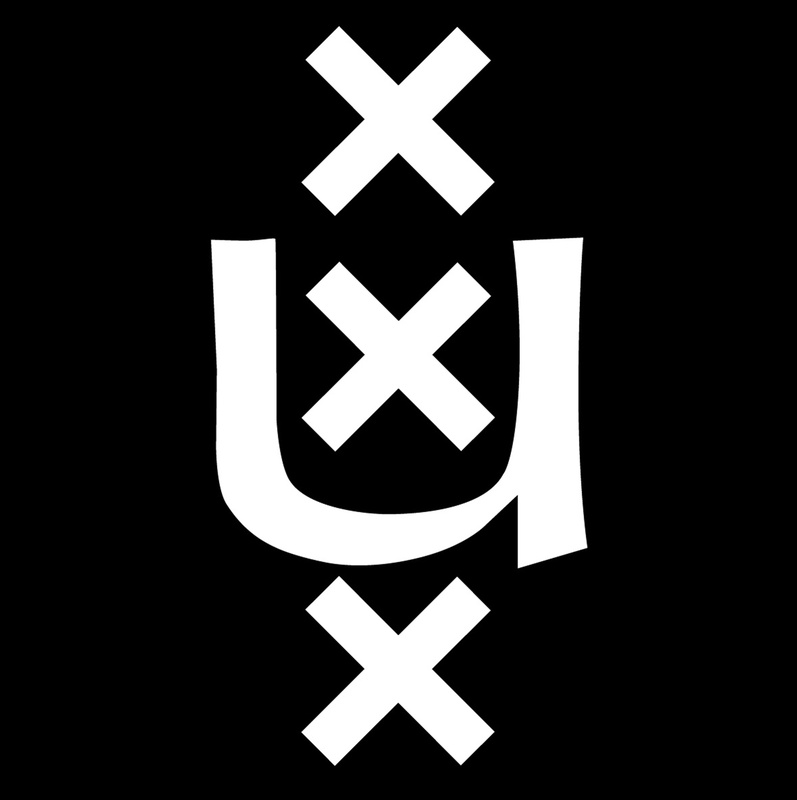 This week a brief entry to announce a job opportunity at the University of Amsterdam. See for detailed information and how to apply here. Deadline for applications: 1 September 2010. Standardization cause of poor reproducibility? In the last few years Web-based experiments have become an attractive alternative to lab-based experiments. Next to the advantages of versatility and the ecological validity of the results, Web-based experiments can potentially reach a much larger, more varied and intrinsically motivated participant pool. Especially in the domain of music perception and cognition it is important to probe a wide variety of participants, with different levels of training and cultural backgrounds. Nevertheless, to get research published that takes advantage of the Internet is not straightforward. An important reason for the conservatism held by some journals in publishing results obtained with Web-based experiments is the issue of replicability. Especially in the fields of experimental psychology and psychophysics there are serious concerns about the (apparent) lack of control one has in Web experiments as opposed to those performed in the laboratory. Where in the lab most relevant factors, including all technical issues, are under control of the experimenter (i.e. have a high internal validity) it is argued that Web experiments lack this important foundation of experimental psychology. As a result of the first issue, it often proves to be problematic to convince University Review Panels to give permission when there is little insight in the environment in which participants tend to do these experiments. As a result of the second issue, some high-impact journals made it a policy decision not to publish Web-based studies, as such discouraging Web experiments to be performed (cf. Honing & Ladinig, 2008; Honing & Reips, 2008). Nevertheless, it is important to stress that if an effect is found - despite the limited control in Web-based experiments over the home environment and the technological variance caused by the Internet - then the argument for that effect and its generalizability is even stronger. As such the variance caused by Web-based setups (as discussed above) might actually amount to experimental results with a much higher external validity than thought before. "Robert Zatorre never used the word music in a grant application. He knew it would get turned down automatically because people thought this was not scientific. Instead, he used terms like 'complex nonlinguistic auditory processing.' Luckily, in recent years, it’s become O.K. to say: I study music and the brain." Still, these days it is not uncommon that reviewers of ambitious research proposals request a description of the implications of the proposed research beyond music. As an example, I was recently urged by a (high profile) reviewer to explain the potential impact of my proposal to the domain of linguistics (and language in general). This as an important validation of the research programme... I look forward to the time that a language researcher will be asked to state what the implications are of his/her research programme for the science of music :-) Until that time we need people like Robert Zatorre and Ani Patel as ambassadors of the field. They do a great job! Can reading program notes reduce your enjoyment of music? The latest issue of Psychology of Music includes an interesting study by Lisa Margulis (University of Arkansas) who decided to investigate what the effects are of the widespread practice of including program notes for classical concerts on musical experience. In this study, the researchers presented people without formal musical training excerpts from Beethoven String Quartets prefaced by either a dramatic description, a structural description, or no description al all. Consequently, they were asked to rate their enjoyment of the music, and in a later stage, to recall excerpts and descriptions. What would you expect the results were? The results show a significant negative effect of description, suggesting that prefacing an excerpt with a text description reduces enjoyment of the music. In the end Margulis gently summarizes the findings as ‘conceptualizing listening by connecting it to linguistically named correlates (a practice fundamental to music training) may have more multifarious (and not always straightforwardly beneficial) effects on musical experience than commonly assumed.’ Yet another case that ‘to know more’ is not always ‘to hear more’. Is beat induction innate or learned? This week a short entry with a selection of discussions related to the newborn study mentioned in last months entry. Discussion at ScienceNews by Bruce Bower. Discussion at Wired by Brandon Keim. For more media attention see Google news. This week a short anecdotal yet inspiring video. Trehub, S. E. (2009). Music lessons from infants. In: Oxford handbook of music psychology. Oxford: Oxford University Press, 229-234. Not too long ago I was called by the Dutch radio for a daily question on science, and was confronted with the question: Why do we like music? The idea is that music, as a human phenomenon, can be seen as something that plays with our senses, our memory, our attention and our emotions, in the way young lions play, without any real threat. Music, generally, does not harm us, it also doesn’t make us less hungry, nevertheless it directly addresses our physiological and cognitive functions. For many music listeners this is a pleasant, rewarding, purposeful and sometimes even a consoling play. I like this idea of ‘music as play’ (or 'music as a game') far better than the discussion on whether music is an adaptation or a mere evolutionary by-product of more important functions, such as those involved in language (Pinker, 1997). Also Geoffrey Miller’s alternative suggesting sexual selection to be the primary mechanism in the evolution of music is still lacking the proper arguments and evidence. ‘Music as play’ is far more attractive, because it might explain several of our strange behaviors, such as listening to ‘sad’ music when we are sad, to make us even more sad — we apparently know it will not really harm us! Do infants prefer music over speech? In this weeks online edition of PNAS Marcel Zentner and Tuomas Eerola report on a study in which they carried out two experiments with a total of 120 infants, aged between 5 and 24 months. The infants were exposed to various musical and rhythmic stimuli, including isochronous drumbeats. Control stimuli consisted of adult- and infant-directed speech. The researchers could show that infants engage significantly more in rhythmic movement to music, and other rhythmically regular sounds, than to speech. The findings are suggestive of a predisposition for rhythmic movement in response to music and other metrically regular sounds. The study also adds to the existing evidence that infants have a liking and preference for rhythmical music from day one, a predisposition that preceeds language. Since Blogger no longer supports ftp publishing, this blog has moved to a new location at http://musiccognition.blogspot.com/. However, all links to olders posts stay in place (after thirty seconds one will be redirected to the new blog). Are emotions in music universal? While there are plenty of theories on how music and emotion might be related (see reference below -Juslin & Västfjäll (2008)- for an overview), there is still little empirical evidence to decide on how far music and specific associated emotions - such as happiness, fear, sadness or anger - are merely a result of association and/or culturally determined, or in fact shared and a result of brain mechanisms that we all share. Last year Current Biology published an interesting study on the recognition of three basic emotions using Western music and that of the Mafa (an ethnic group living in the mountains of Cameroon, and that are claimed never to have been exposed to Western music). Both Mafa and Western listeners listened to short Western piano pieces and Mafa flute music and had to decide which of the three faces (from the often used Ekman archive) fitted best with the perceived music. The study could show that the basic emotions happiness, sadness and fear could be picked up (above chance level) by both listener groups from each others music. What is urban in us, and what is wild? This week a video of an event that was moderated by Faith Salie and features author Jonathan Rosen; neurobiologist Erich Jarvis; scientist and noted bird researcher Irene Pepperberg; professor of comparative cognition at Cambridge University, Nicola Clayton; Head of the Laboratory of Animal Behavior at CUNY, Ofer Tchernichovski; and David Rothenberg, professor of philosophy and music at the New Jersey Institute of Technology. 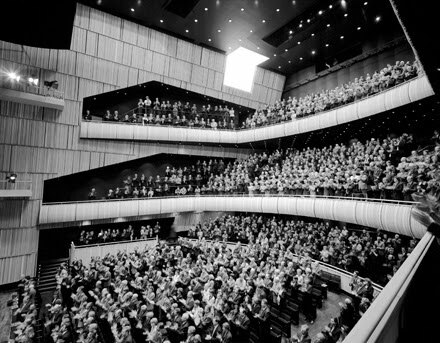 This event took place on June 13, 2009 in the Skirball Center for the Performing Arts at New York University. This is the first of eleven segments (See YouTube). • Korte reeks publiekscolleges georganiseerd door de Universiteit van Amsterdam. Zie hier voor meer informatie. 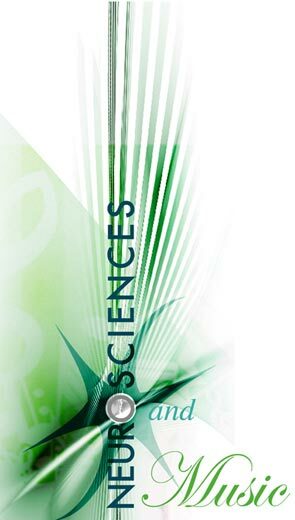 • Publieksboek over muziekcognitie: www.iedereenismuzikaal.nl en gerelateerde facebook groep. Whats new in music cognition? New Course on Music Cognition, elective of the Research Master Brain and Cognitive Sciences; See here for more information. Crying of newborn babies: A sign of inborn musical skill? Even the crying of newborn babies seems to be more musical than we think. This can be concluded from an interesting study that was published last month in Current Biology. German researchers were able to show that newborns don’t just cry randomly, but - when studying the audio signal of their crying - one can distinguish between French and German babies. The German babies - only three days old - cry in a downward fashion, their French contemporaries showed an increasing swelling of the cry and stop abruptly. Sound example: German & French baby cries. How can we explain these differences? Babies do hear about three months before they are born. And the few prenatal studies that are available show that babies, in that stage of their development, already perceive and remember sounds. For instance, they recognize the sound of their mothers voice just after birth, and they can distinguish between tunes that they heard during pregnancy from those that they have never been exposed to before. The correlation between the mother language of the babies and their average crying pattern, suggests that exposure to the language spoken by their caregivers (mother, father, etc.) influences the crying, since French language, on average, consists of raising melodies, and German intonation often shows a decreasing shape. The researchers suggest that this as a sign of a sensitivity to language from very early on in life. My interpretation would be different. 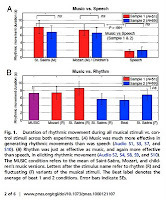 I would not so much relate these results to language, as well as a sign of a high sensitivity to the musical aspects of speech: rhythm, melody, stress (i.e. prosody). As quite some studies have shown (e.g., authors like Fernald, Trehub, Trainor, and others), infants and young children are extremely sensitive to these 'musical' variations in their environment. For example, infants seem to be highly sensitive for the musical and emotional aspects of infant-directed speech (IDS), more so than the actual linguistic structure, let alone semantics. I would therefore claim the results of the baby-study are actual evidence for very early signs of musical sensitivity to intonation and other musical aspects of sound, than that it should be seen as evidence for the start of learning a language. P.S. I describe this argument in length in my new book Iedereen is muzikaal (Available in English in Spring 2011). The covers of Olivier Sacks’ Musicophilia and my recent book Iedereen is muzikaal look quite similar. A case of plain plagiarism? Voor het volledige interview zie hier. Y've got the music in ya? Today - as start of the new year - a link to a review by Harold Schellinx of Iedereen is muzikaal, to give you a flavour of the book. N.B. Schellinx was a fellow student from the then Utrecht based Institute of Sonology and is now an independent media-artist and -theorist, living and working in Paris, Amsterdam and elsewhere. Let it be a surprising new year!